My name is Tracy Houle and I live in beautiful Oakville, Ontario. My mission to help people improve their health through the power of food began with my own children many years ago. When my eldest son was only six years old, he began to complain about stomach pain, so I did what most people do today – I Googled it. After a ton of research and remembering that he was lactose intolerant as a baby, I deduced that my son probably had food sensitivities or allergies. So I went cold turkey toward healthy eating. I immediately removed all grains and dairy from the house and within a couple of months, the entire family reported feeling better. My son stopped having tummy aches, my daughter was less bloated and gassy, my husband dropped 25 pounds, and I had clearer skin, shinier hair and vastly improved hormonal health! Needless to say, that was just the beginning for me. I was so enamoured with everything I had learned that I decided to keep going. 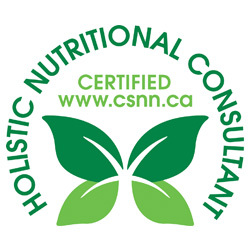 I enrolled in the Canadian School of Natural Nutrition and, after two years of studying, became a nutritionist. 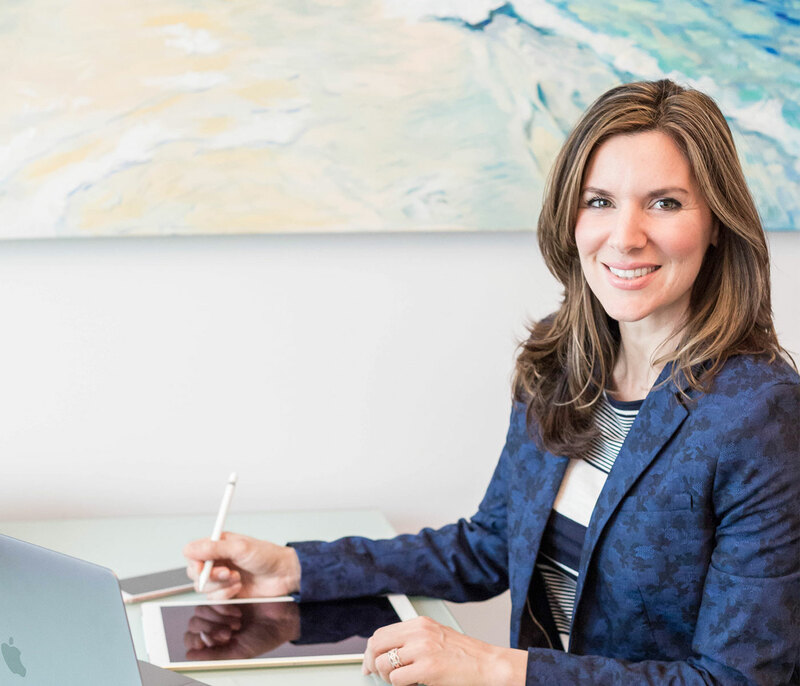 I knew everything there was to know about the science behind nutrition, but there was something missing – I wanted to put that theoretical knowledge into practice. I found out about the Academy of Culinary Nutrition, where I could learn how to teach people to cook healing foods in their very own kitchens. 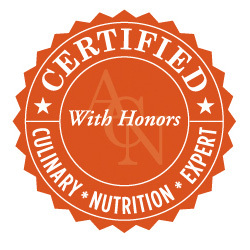 Soon, I had become a Certified Culinary Nutrition Expert. It didn’t stop there, I enrolled in a Functional Nutrition program so I could become proficient in getting to the root cause of chronic illness while also going on to train with the Institute for the Psychology of Eating. It has been a long journey of certifications – but a completely fulfilling one that I’m forever grateful for! As you can tell, I am completely inspired by health and wellness and fully believe that food is a form of medicine. My family and I have had an amazing health journey, and I look forward to putting my coaching and consulting skills to work for your family, too. Want to know more about me? Read this! 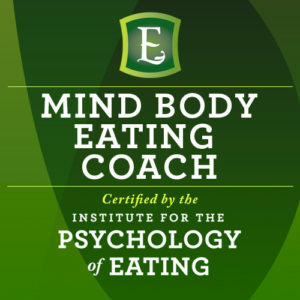 I trained at the Institute for the Psychology of Eating, the world’s leading school in Nutritional Psychology, where I received my certification in Mind Body Nutrition and Dynamic Eating Psychology. In IPE’s internationally acclaimed program, I learned powerful cutting-edge tools and protocols that enable me to work with weight issues, body image challenges, overeating, binge eating, and a variety of nutrition related health concerns, such as digestion, fatigue, mood, immunity, and others. 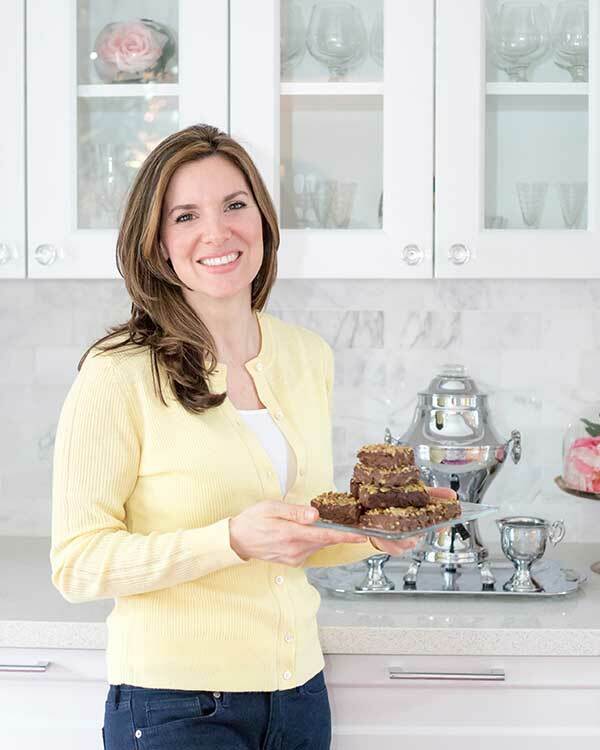 My work combines the powerful fields of Dynamic Eating Psychology and Mind Body Nutrition. The skills I use from this Training are a combination of practical coaching techniques, results-oriented psychology, clinical nutrition, body-centered practices, mind body science, and a positive and compassionate approach to challenges with food and health. 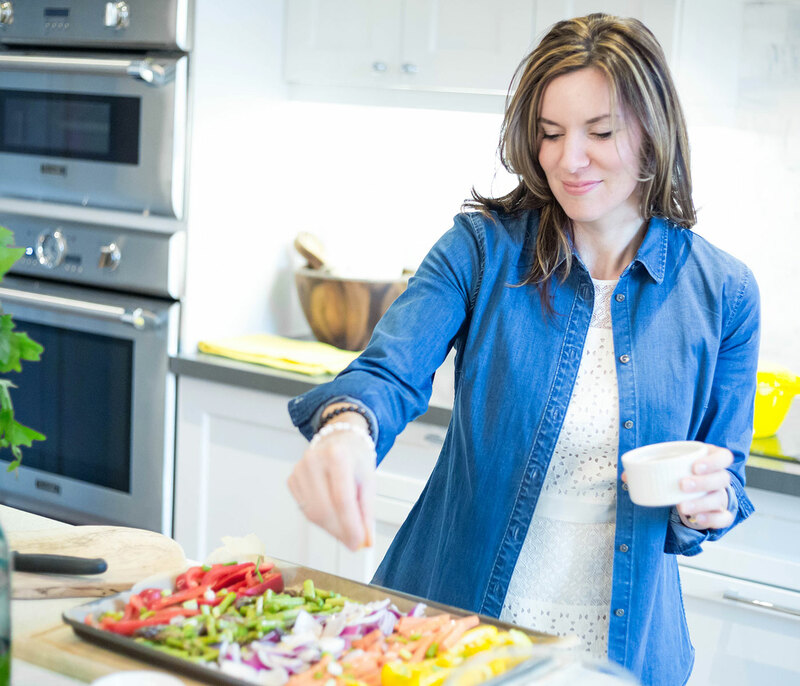 As a Functional Holistic Nutritionist, Mind Body Eating Coach and Culinary Nutrition Expert, Tracy wants to impart the best that food and psychology has to offer your health, happiness and overall wellbeing. The inspiration started with her own families health and has transpired to teaching folks how to implement health strategies through her one-on-one nutritional consults, group coaching programs, as well as public speaking engagements. For far too long, we’ve been inundated by negative messages about food, weight, and diet. We’ve been told that we’re willpower weaklings or that we need more control. The majority of nutrition experts promote conflicting advice. The result is people are confused about what to eat, and how to have a happy relationship with food and a healthy metabolism. In my professional practice, I combine many of the best strategies from nutrition science and eating psychology. By eliminating all the “shoulds and shouldn’ts”, I focus on what’s right for your body and your personal style. As we work together in this way, eating and health issues become a place of exploration. Instead of seeing such challenges as the enemy, they become opportunities for growth and self-improvement. In my training at the Institute for the Psychology of Eating, I’ve learned to help clients reach their highest goals not by strategies that punish, but through strategies that nourish. 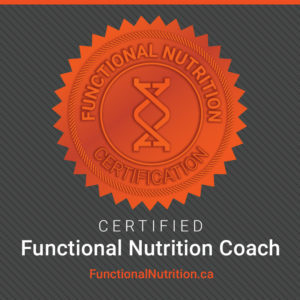 What do you do as a Certified Coach in Mind Body Nutrition and Dynamic Eating Psychology? The Coaching I have been trained in is an exciting and cutting edge approach developed by the Institute for the Psychology of Eating. It effectively addresses weight concerns, binge eating, overeating, body image challenges, and various nutrition related health concerns. My approach is positive and empowering. I don’t see your eating challenges merely as a sign that “something is wrong with you” – but as a place where we can more fully explore some of the personal dimensions in life that impact food, weight and health. Oftentimes, our eating challenges are connected to work, money, relationship, family, intimacy, life stress, and so much more. By working on the places that are most relevant for you, success is more easily achieved. I look to support you with coaching strategies and nutrition principles that are nourishing, doable, sustainable, and that yield results. Dynamic Eating Psychology is an important new field originated by Marc David, Founder of the Institute for the Psychology of Eating. It’s a positive, empowering, and transformational approach that’s designed for anyone who eats. Each of us has a unique, fascinating, and ever changing relationship with food. Dynamic Eating Psychology affirms the primary importance of this relationship. It sees our challenges with eating, weight, and health not as an indication that we’re broken, but as a beautiful opportunity to grow and evolve. Previously, eating psychology has been limited to those with clinical eating disorders. Dynamic Eating Psychology, though, is for everyone. It affirms that our relationship with food has important lessons to teach us if we choose to listen. And it recognizes that our challenges with eating, weight, and health are intimately connected to other primary life dimensions – relationship, family, work, sexuality, our search for meaning and fulfillment, and so much more. Dynamic Eating Psychology is a powerful breakthrough approach. What is Mind Body Nutrition? Mind Body Nutrition is an exciting and timely new field that advances the practice of clinical nutrition by exploring the psychophysiology of how thoughts, feelings and beliefs impact nutritional metabolism and health. Originated by Marc David, Founder of the Institute for the Psychology of Eating, it goes far beyond classical nutrit#f9f9f9#f9f9f9on by focusing on the fascinating connections between brain, body, and behavior. Simply put, what we eat is only half of the story of good nutrition. The other half is who we are as eaters. Mind Body Nutrition reveals how stress physiology, the relaxation response, breathing, awareness, pleasure, meal timing, and much more profoundly influence digestion and calorie burning. And it offers practical and results-oriented strategies for the most commonly seen eating challenges and health issues of our times. Sign up for my newsletter if you want to learn more about how to nourish your life and savour all it has to offer.